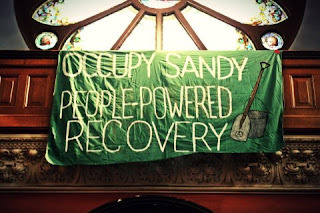 In the aftermath of Hurricane Sandy which struck NYC and the surrounding area in late October of 2012 I joined the relief efforts of Occupy Sandy. 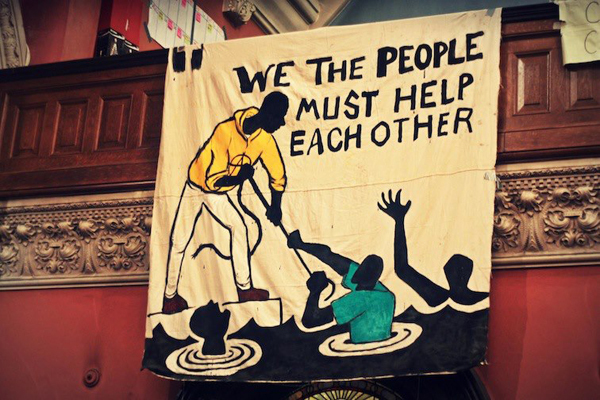 Inspired by the anarchist organized and initiated relief efforts of the Common Ground Relief organization that responded to Hurricane Katrina in New Orleans and later the attempts of Kansas Mutual Aid who responded to the near total devastation of the town of Greensburg, Kansas following a tornado in 2007. 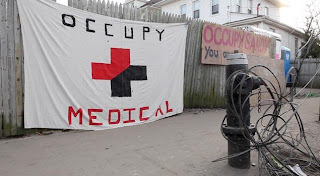 I was inspired by these efforts (some of which I wrote about at the time) and I saw some how anarchist organized mutual aid could be effective in spreading not just good will and support, but also as a tool of propaganda. Mutual aid is, I believe the 21st Century propaganda by the deed. 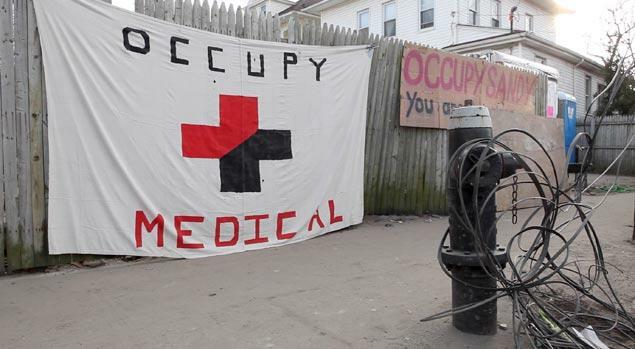 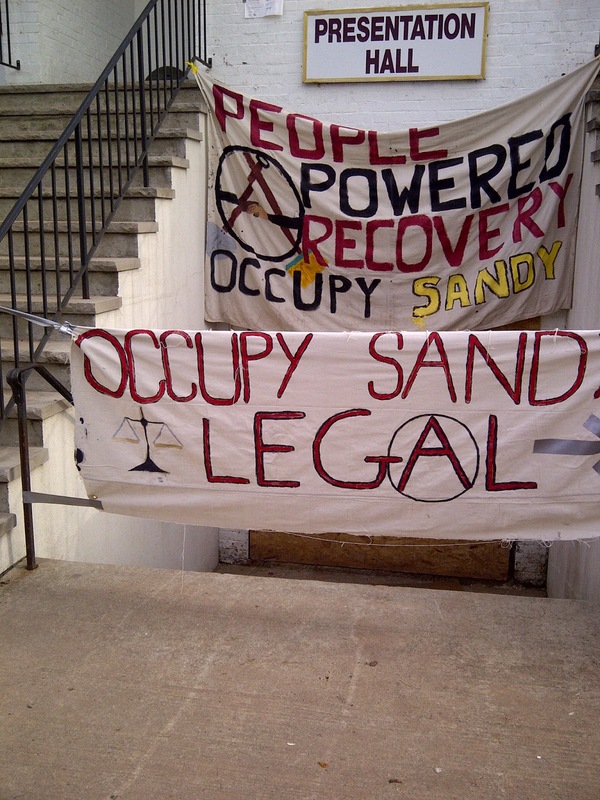 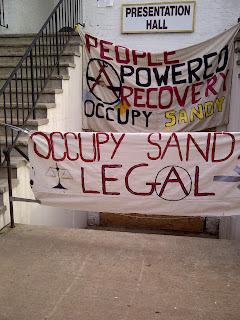 Working with Occupy Sandy I helped to deliver supplies, design and create banners and signs, sort materials, clean out flood damaged spaces, and to generally coordinate efforts between multiple dispatch, kitchens, and spaces. 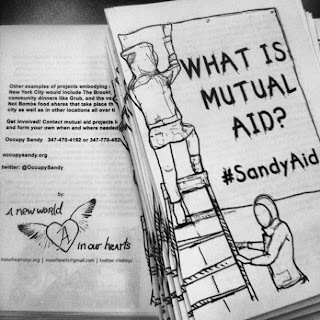 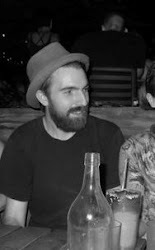 I with others working with In Our Hearts helped to write and publish a zine to explain why we and others were helping people through Occupy Sandy called "What is Mutual Aid? 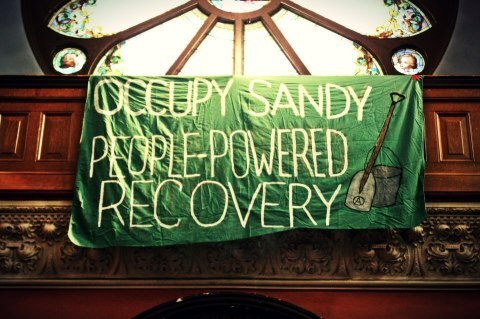 #SandyAid." That zine along with a number of the banners we created sought to explicitly distinguish ourselves from charities, and government agencies that people sometimes confused us with.